Summary: A young girl talks about the different women in her life–her baker grandmother, doctor mother, artist aunt, and fashionista older sister–and how each one has a distinctive way of wearing her hijab. Her mother tucks hers inside her white coat, while her aunt wears hers piled up high and pinned with a jewel. At home, each woman removes her head scarf, and the girl comments on the different hairstyles as well. She usually doesn’t wear a hijab, but enjoys trying one on occasionally. Includes a note at the end entitled “About the Hijab” that gives more information about the role it plays in the lives of Muslim women, and the different options to wear it that women have. 32 pages; ages 4-8. 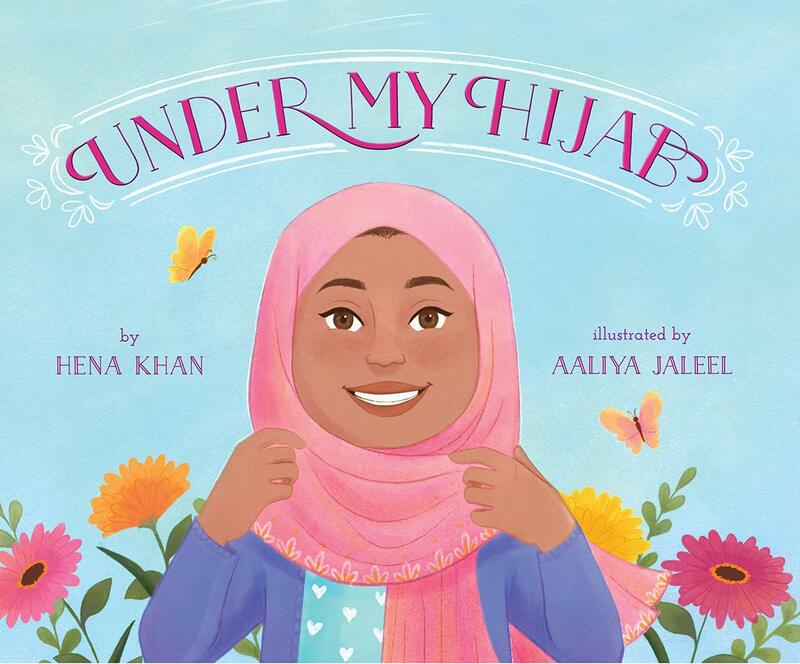 Pros: The rhyming text and cheerful illustrations will empower Muslim kids, especially girls, and will answer questions in a straightforward manner that non-Muslim children might have about the hijab. Cons: The author talks about how some Muslim women, like herself, only wear the hijab occasionally, such as when visiting a mosque or praying. It would have been interesting to have a woman like that included in the story.